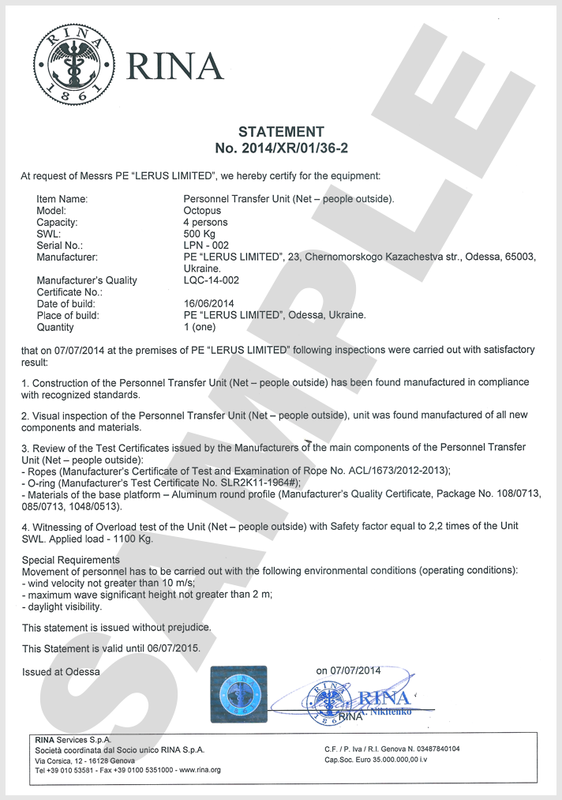 LERUS Supply brand-new Personnel Transfer Units (PTU). PTUs OCTOPUS type, and are all made internally. These units will facilitate making your crewmembers’ movements easier, faster and provide even more safety. 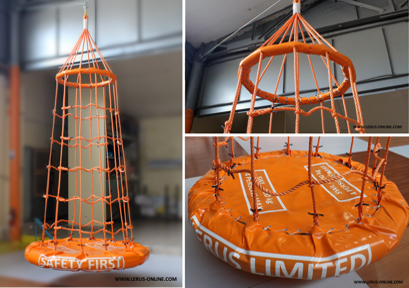 PTUs conform to MSC.1/Circ.1447 and MSC.1/Circ.1182; They are also suitable for use in recovery of people from the water. Capacity of people – 4 pers. PTU is capable of carrying the weight of 4 people plus baggage as well. Since a PTU is lightweight, one person is only needed to lift and move it when preparing for usage, getting out etc. To make the Personnel Transfer Unit as safe as possible and easy to handle, we have intentionally limited its SWL, although the product has an enormous breaking load. PTUs are manufactured under the control of the RINA classification society. They fulfill all the recognised standard requirements and have a breaking load that is more than 10 times above the SWL. If you require any additional information and more detailed guidance about this product, please do not hesitate to contact us by e-mail or phone.